Atopic Dermatitis (AD) is a very common, chronic and recurrent skin condition. It is the external evidence of an internal state, which results in a tendency to develop eczema, allergic rhinitis (persistent usually clear nasal discharge) or hay fever, and allergic asthma. Family history – 70% of children diagnosed with infantile AD have other family members with eczema, hay fever or asthma. Unusual blood vessel responses – constriction of the capillaries on the surface that creates a paleness about the mouth, and swelling in response to any slight scratching; the skin may also feel cool to touch. The immune system is involved, typically with elevated levels of immunoglobulin E, depressed levels of immunoglobulin A, and a sluggish cellular immune response. Skin cells have altered metabolism that results in too much histamine being released. Optimally our skin cells can protect themselves by producing antibacterial action – this is impaired in AD. Body-wide hormonal responses to stress are expressed on the skin as hypersensitivity reactions. A heightened sensitivity to essential fatty acid and zinc deficiency. The infantile form appears most often between 8 weeks and 2 years of age. Patches of red appear, with tiny blisters that ooze a thick yellow serum, which dries into crust. These extremely itchy spots occur on the face, scalp, neck, arms and legs most often. The childhood form is usually active between ages 4 to 10. It may be a continuation of infantile eczema, or it can be appearing for the first time. Typically we see redness, bumps, scaling and thickened, dry, itchy skin in the bends of joints and on the neck. The adolescent and adult form spreads to the neck, upper chest, and across the hands and feet. There may be scarring left behind at this point. The typical itchiness and extreme dryness are major features. “Bumps” – known as keratosis pilaris or follicular keratosis – that appear on the backs of the upper arms and the outsides of the thighs, are related to AD. These bumps are sometimes the only manifestation that alerts us to a person being predisposed to atopic diseases. Becoming aware of possible triggers in order to avoid them makes these bumps actually useful clues. Vitamin A supplementation will improve the appearance of these bumps, although it is probably not curing the underlying tendency to the larger metabolic circumstance that makes a person vulnerable to AD-related symptoms. “Dennie’s lines” are common in AD. Dennie’s lines are an extra fold under the lower lid, likely due to the rubbing and roughening that occurs with dry, itchy eyes. There may also be a tendency to frequent skin infections, bacterial, viral or fungal. Puberty and the late teens are times when fresh flare-ups or new diagnosis are likely. About one third of people with AD eventually develop allergic asthma or hay fever. Winter is also a season full of potential triggers- dry cold weather outdoors and dry, hot environments indoors. There are no lab tests that specifically confirm AD, although there are some blood tests that confirm inflammation in a general way. Diagnosis is based on the appearance and behavior of the lesions and on family history. Skin scratch testing is generally wildly positive- not surprising since any irritation to the skin stimulates this condition to manifest. Usually the results of this kind of testing are not very useful for everyday life choices. It is important to understand the underlying biochemistry of this condition, and to realize that even the most vigilant habits are not likely to prevent outbreaks 100% of the time. It is a frustrating, chronic problem to live with. Being educated about cause and having a toolbox full of effective treatments and comfort measures can help a person with AD be relaxed about dealing with the condition and therefore suffer as little as possible. Learning how to reduce the itch, and therefore the scratching, and to correct the internal biochemistry, is key. Optimize skin moisture by avoiding soap. Use tepid water baths, 20 to 30 minute soaks as often as 3 time daily, followed by topical creams applied very quickly, within 3 minutes, to prevent water loss from the skin. Calendula and oats are the best herbal ingredients to use, and creams are superior to lotions, which tend to contain drying alcohol. Other good choices include: Eucerin, Cetaphil, Unibase and Nivea brand moisturizers. Adding drops of calendula oil and stellaria tincture to Eucerin cream, enough to make the tincture disappear without it being too runny, is an effective and well-tolerated topical treatment. Bathe with water less often in winter. Consider moving if your family lives in the desert. Humidity is kinder to AD. Irritants that will stimulate itching are rough fabrics, dusty, dry environments, sweating and chemical exposures, including common household items like dishwashing soap and window cleaner. Trim nails and keep them clean to minimize infections from scratching. Treat infections early. Again calendula flowers, in the form of water based tea or “succus”, a non-alcohol preparation of ‘juiced’ flowers, makes an excellent antibacterial wash.
Avoid rapid temperature changes, either hot or cold. The blood vessel response will stimulate the itch response. Learn stress coping skills early, and practice these preventatively. The biochemistry that accompanies emotional distress and fatigue will trigger AD outbreaks. Meditative relaxation practices are vital habits to develop. 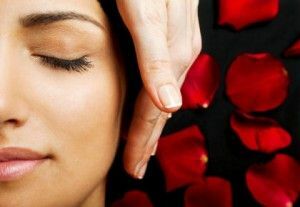 Herbal sedatives can be helpful to relax. Tincture of oats, catnip, lemon balm, chamomile, California poppy, passion flower and lavender are all safe and effective for children. NOTE: Nutrient and herbal doses are always best determined in relations to body weight. Dosing for kids is one drop for every four pounds of body weight. Adolescents and adults can use valerian, kava kava, skullcap, and hops, in doses between 30 and 120 drops every 3 to 4 hours as needed. Adult doses are given. Children and infants should be dosed individually according to body weight. Mothers of nursing infants with AD should consider supplementing as indicated below. A good quality liquid or powdered form multiple vitamin mineral supplement with each meal. Probiotics – lactobacillus and bifidus – will combat systemic, allergy-induced inflammatory response. NOTE: Nutrient and herbal doses are always best determined in relations to body weight. Food allergy is a well-documented factor in AD. Cow milk products are the most common allergen for infants; wheat and eggs can also be a culprit. See below for discussion of allergens in general. Diet should be whole foods, fresh and nutrient dense- meaning minimizing pre-prepared and packaged foods, refined grain products like white bread, white rice, crackers, chips, and all sweets. That means no candy, cookies, cakes, ice cream, no sweetened drinks like pop, no fruit juice or concentrated fruit sweeteners. Dried fruit, syrups, honey, malts and of course all forms and colors of sugar, will make the inflammatory component of this condition worse. Fish is an important source of protein and valuable fatty acids. Five to seven meals a week of tuna, salmon, sardines and the like are recommended. Topical and systemic steroids should be avoided if at all possible. Although at times it may seem like the itching is intolerable and something absolutely must be done for quick relief, choosing steroids almost always means choosing to go through a rebound period. That is, things will get worse as soon as you stop. Used non-stop long term, steroids increase the likelihood of progression to more serious atopic conditions such as asthma. If steroids are unavoidable, use Triamcinolone 0.1% ointment till stabilization- that is, the situation has stopped getting worse, then limit to not more than twice a week application. Another possibility is Desonide lotion supplemented with moisturizer. Bathing dries the skin- wetting followed by evaporation causes the outer most layer of skin cells to tighten up and crack, which diminishes it’s protective barrier function. Bathing can also help the skin. It adds necessary water to the cells; it removes allergens and irritants from the surface; it cleans away serum crusts and other debris; it provides important bonding and fun for parents and child; it provides opportunity to relax and de-stress for everyone. It is essential to apply moisturizer immediately, within 3 minutes, so as not to lose the benefits of the water in the skin cells, and to keep the skin surface intact and flexible. Food allergy either systemic (internal, body wide) or localized due to direct contact as with hands, face and mouth. Especially citrus and tomato. Aeroallergen contact eczema from dust mites, pollen, pets and molds. Donna Morgan discovered she had a passion for writing at a very early age. It’s a passion that has led her down a few interesting paths in life, not the least of which is a keen interest in health and fitness. With a young family, good food and nutrition has become something of a crusade and she loves nothing more than sharing her discoveries with her readers. 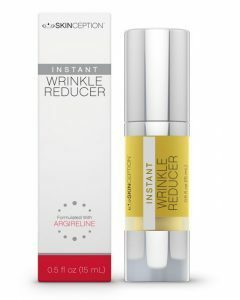 Halle Berry Skin Care – Eternally youthful thanks to a Wrinkle Reducer?